About Bill Smith — The Law Office of William F. Smith, Esq. Bill Smith is a recognized and respected member of the legal community in Rockland County and the greater New York metropolitan area, including the lower Hudson Valley. He was raised and educated in Rockland, and today this is where he chooses to live and practice law, as he has done for over 30 years. Bill is rated “AV Preeminent” by Martindale-Hubbell, the nationally recognized directory of legal professionals, with the highest possible rating for an attorney for ethical standards and legal ability. Bill has effectively guided many individuals and families through the administration of estates, from initial court proceedings through final distributions to beneficiaries, in hundreds of estates. He has also successfully advocated and litigated contested probate, administration and trust matters for fiduciaries and beneficiaries for modest sized and multi-million dollar estates. 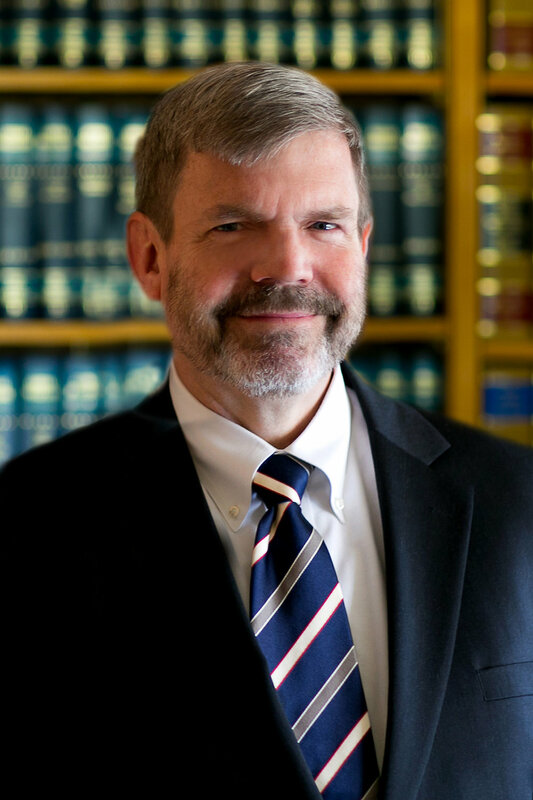 Bill’s legal career spans numerous aspects of the law. After graduating from New York University and Brooklyn Law School, he served as a prosecutor in the Rockland County District Attorney’s Office. Here he rose to the rank of Senior Assistant District Attorney and served as chief prosecutor of white collar, probate, business, public benefits violations, as well as criminal appeals and pursuing forfeiture of wrongfully obtained assets. This experience has served him well. Today, Bill operates the private legal practice—The Law Office of William F. Smith, Esq.—in New City, New York. Bill and his experienced colleague Rick Pakola and their staff focus on the areas of Estate Planning, Wills, Trusts, Probate, Elder Law, Estate & Trust Litigation (including Will contests), Guardianships and Special Needs Planning. Bill has lectured in law at the college level and in legal seminars for law professionals and senior citizens, has been a legal expert guest on radio programs and is a sought-after speaker on these and other related topics. In addition to his law practice, Bill also serves as Associate Village Justice for the Village of Chestnut Ridge, New York. Bill has successfully litigated many contested estate proceedings, including Will contests, disputed accountings, appointment or removal of fiduciaries and those who have wrongfully obtained assets from the elderly and from estates. Many of his cases are referred to him by attorneys, accountants, financial experts and significantly, by satisfied clients. Bill has a strong ability to listen, and takes great pride in taking the time to explain the complexities of the law in a way that makes sense. Meetings with Bill are unhurried, informative conversations. It is this personable manner, combined with a rich tapestry of experience that makes Bill a valued advisor and strong advocate when dealing with the important and ever-shifting issues surrounding the preservation of property, generational transfer of wealth and/or recovery of assets belonging to an estate or beneficiary.